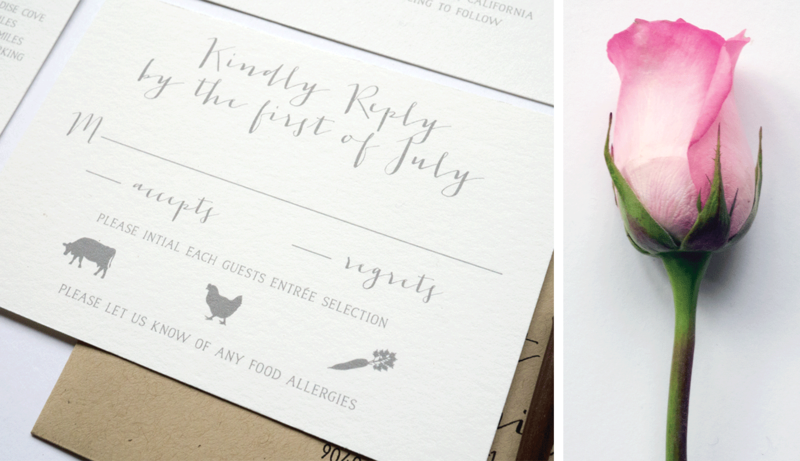 A whimsical calligraphy font creates an elegant twist on this traditional rustic wedding invitation. 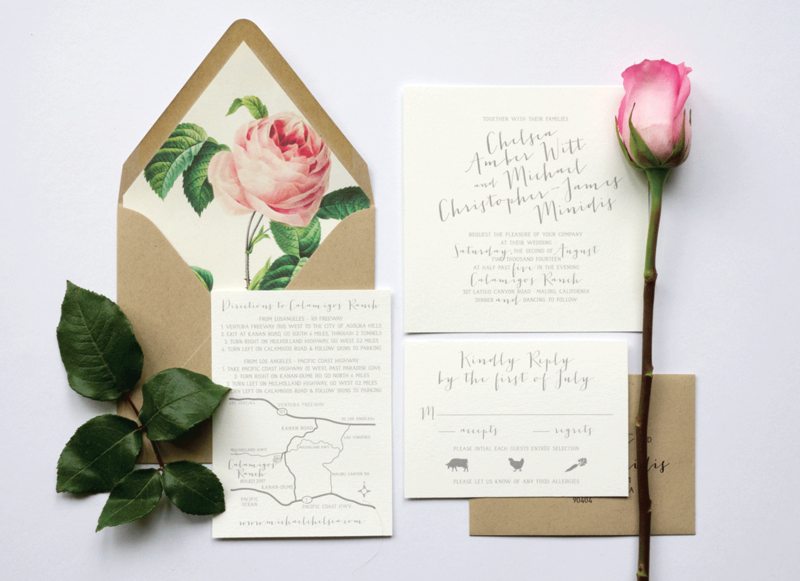 The kraft envelope lined with a vintage botanical illustration of a blush rose was a beautiful way to complement this wedding invitation. 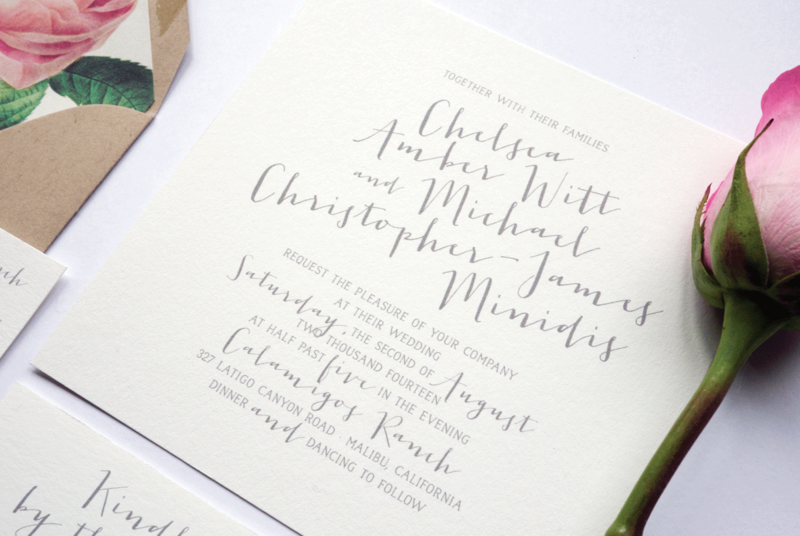 Flat printed on cream cotton letterpress card stock. 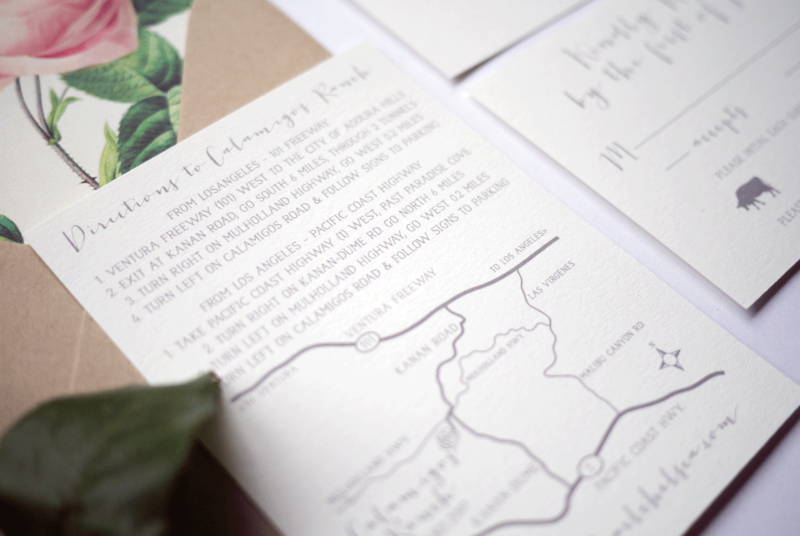 Invitation suite includes an invitation, custom lined envelope, rsvp set and map.